Surprising and fascinating. Does the secret lie in the straight and relaxing sitting position, the breath- taking acceleration, the modern design, the opportunity to put your feet down at any time, or the diversity of functions? While the experts keep arguing, the eCruisers already savor their very personal driving pleasure. Only one thing is certain: the secret stays with the Swiss engineers while you enjoy unlimited driving excitement, a unique design paired with maximum control, many functionalities and superior comfort. 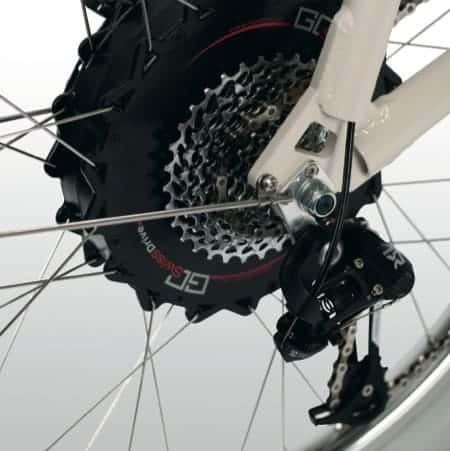 With hydraulic disc brakes, you benefit twice. The energetic braking effort will bring you to a fast stop reliably. Every pull on the brake handle makes the motor a dynamo. The kinetic energy flows back into the battery in the form of electricity. Additionally, you can adjust the energy recovery manually on the display. Energy that moves you further. The efficient 540-watt-hours lithium- ion battery provides you with the power to travel up to 120 km – depending on the driver, driving style, topography and selected support level. 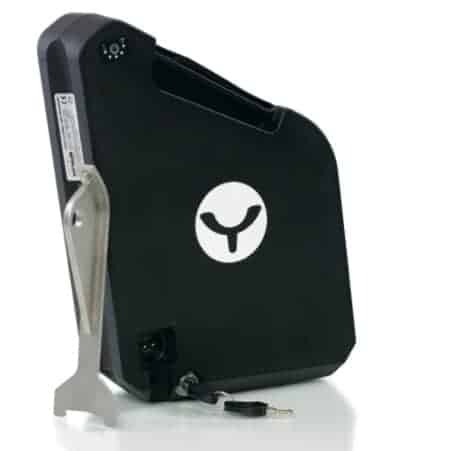 Convenient charging anywhere and anytime is guaran- teed with the removable and easily transportable battery. Fly over the tarmac. 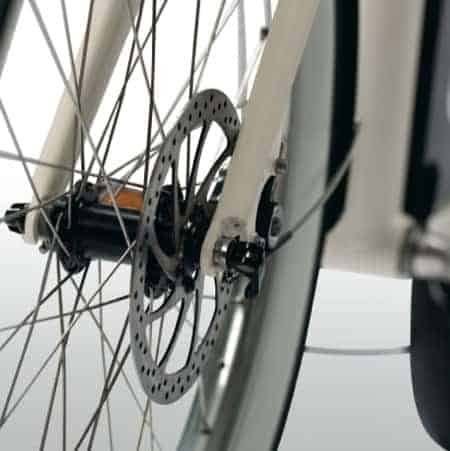 The back wheel hub motor offers you sheer driving excitement. The powerful electric motor is completely silent, vibration free and runs very smoothly. The high torque easily push-starts you. The motor is available in a 250 or 500-watt version, and it is finely adjustable with five support levels up to a maximum speed of 45 km/h. E-Cruising is definitely for individualists. That’s why we offer components, accessories and design options that will turn your YouMo into a bike that is just as unique as you are. The foundation could not be any better: We fit the stylish and ergonomic gender-neutral frame, which is made of lightweight airplane aluminum, with basic add-on features sourced from reputable manufacturers. Do you need additional features? 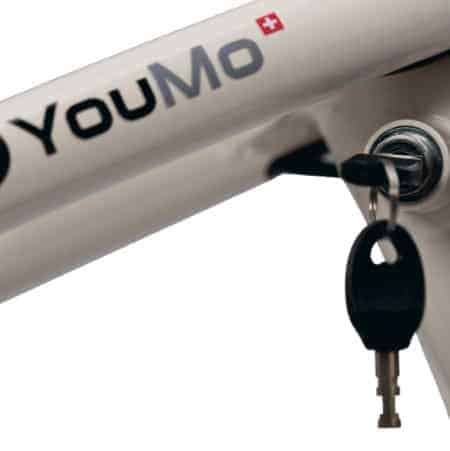 Check out our e-bike Accessories, contact us or visit your YouMo Dealership. Broad-wheeled for your comfort and safety. 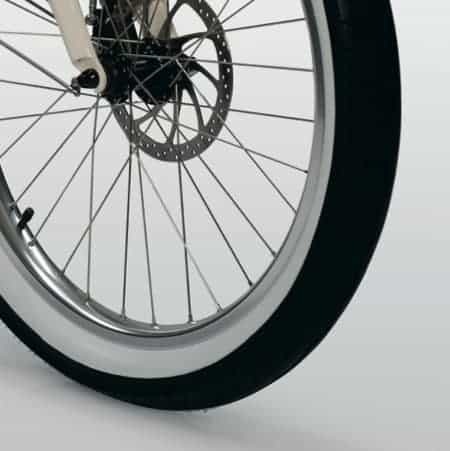 The fat balloon tires provide the necessary grip and flatten your track like a shock absorber. At the same time, they prevent you from getting stuck in tram rails and give the YouMo a unique and special style. Bring light into the darkness. The bright day and night light illuminates your path. 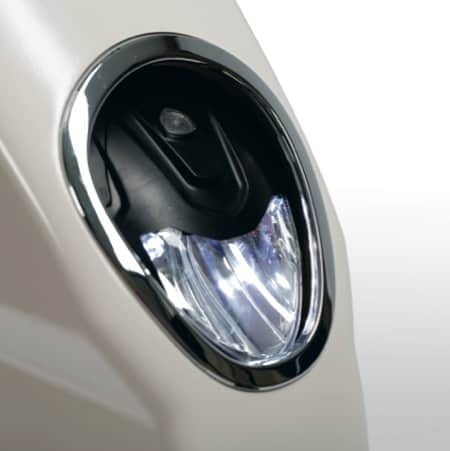 The automatic light control turns the front and rear light on and adjusts the bright- ness to the current light conditions when setting to automatic mode. The necessary electricity is pro- vided by the battery which links it directly to the lighting system. Fool the thieves. The steering lock is the reliable antitheft device for motor vehicles. While it is easy to handle for you and difficult to pick for others, the steering lock is hidden underneath the retractable front. Feeling safe helps prevent accidents. The stable frame, the thick tires, and the deep center of gravity guarantee you running smoothness and stability in curves and at high speeds. Thanks to the eCruise Technology® you don’t only sit upright with a good view of the traffic, you can also comfortably put your feet on the ground at any time. During braking manoeuvres, you remain safely on your saddle. To be overlooked by other road users is the cause of many collision accidents with an e-bike. 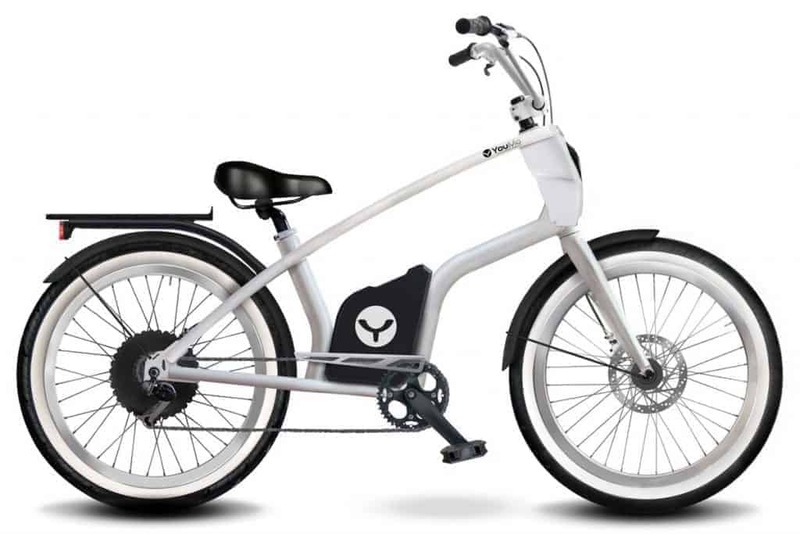 The YouMo offers you double protection: the double top tubes and the beefy front increase the awareness and indicate speed. The fully integrated light system with automatic day and night light pro- vide additional safety combined with optimum illumination. Follow your own desires and ideas. Assemble your YouMo the way you want and need it. Start with one of the basic models and choose between additional functions, bag concepts, and trailer solutions. Unleash your creativity and become your own designer of the battery cover. If you have a special request, please feel free to contact us personally, and we will take care of the realization. Nothing should stand between you and your very personal YouMo!